Let’s be real for a minute. Even if you wanted to, you probably can’t afford to hire a writing service for every assignment. So, you’re stucking doing a lot of this writing on your own. When you’re always getting points taken off for grammar and spelling mistakes, that can hit you right in the...GPA. Fortunately, when you are doing your own writing, there are a plethora of grammar tools and apps that can help. We put more than a dozen to the test. Then, we pared that list down to our very favorites. If you need a way to avoid the grammar police, keep reading. Here are five grammar tools that we love. This is arguably the most popular grammar app outside of the ones that come included with your favorite word processors. One reason it’s so popular is that you’ve got a lot of options here. First, you can go to the Grammarly website for free and copy or type in any text you want. Grammarly will check it for you, and show you any mistakes you might have made. If you use chrome, there’s also a free plugin. As long as you’re in the Chrome browser, Grammarly will show you mistakes you’ve made, and give you suggestions for correcting them. There is some bad news. In spite of being Chrome compatible, Grammarly does not work in Google Docs. Still, it’s nice to have for emails, and any other content you write on the web. If you prefer to work on your desktop, there’s a free, native app as well. You can also download it as an add-on to MS Word. Finally, there’s a premium version. This includes much more in depth spelling and grammar checking. If you write for publication or pay, we strongly recommend this. The premium version has three payment tiers. You can monthly for 29.95 per, quarterly for the equivalent of 19.98 per month, or annually for 11.66 per month. WhiteSmoke is a suite of writing products. It includes a premium desktop tool, a web version, and a downloadable app. The least expensive version is the browser only version. It costs just under seven dollars per month. Then next is just under ten per month. It’s compatible with all browsers, Gmail, and MS Word. It’s also Mac compatible. The third version is just below 18 dollars a month. It has many of the same features as the ten dollar product. However, it includes a three seat license, customer support, and is compatible with multiple writing platforms. These tools were developed with the help of linguists, and are touted as ‘English’ writing tools. There’s also a translator module available. This is clearly a tool intended for ESL students and others. Of course, while we do endorse the spelling and grammar checkers here, we caution against relying too heavily on the translation tool. Machine based translations just aren’t advanced enough to rely on when it comes to your academic work. Ginger Software is a grammar and writing app. You can add it to Chrome for free. It has an autocorrecting feature that fixes your mistakes as you go. In addition to a grammar checker, there’s also a text reader. You can use the sentence rephraser to explore the different ways that you can write things. This is a big help for ESL writers. The premium plan is available monthly, quarterly, or annually. It is billed according to the tier you select. The paid version is highly portable. It is available on your desktop, for Google Docs, as a phone app, and for multiple browsers. It’s also guaranteed. If you are a student, you can get a deep discount here. At the moment, students pay 40% less than others for all of the same features. Also, we've got a special promocode for our readers: 10DIS15, enjoy! The focus here is less on fixing mistakes, and more on making you a better writer. The Hemingway app takes your writing and shows you what could be making it less than the best it could be. 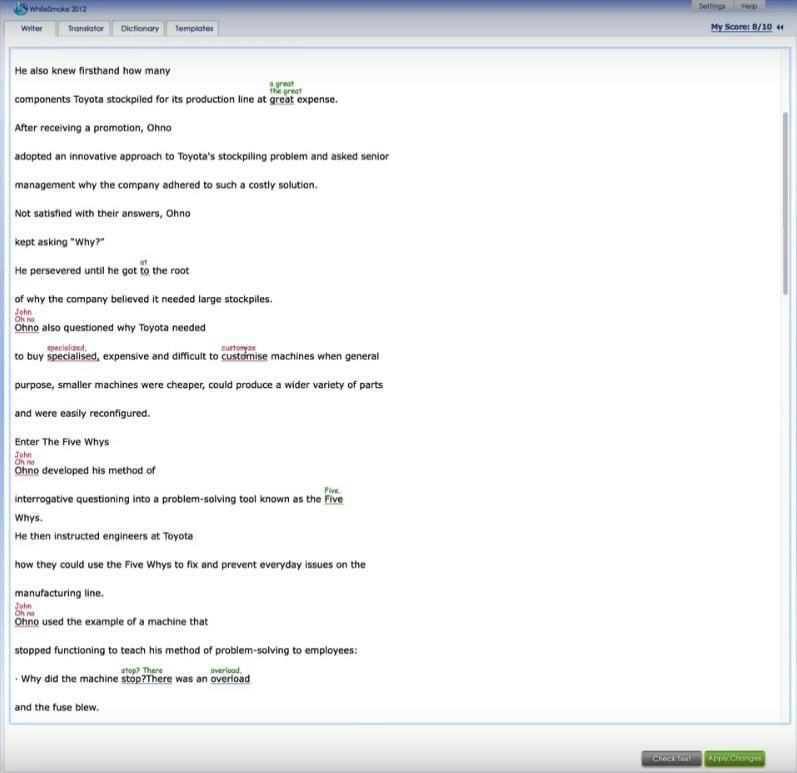 This tool will highlight sentences that are too long and complex. It will who you where you’ve used adverbs instead of using powerful verbs, and where you have used long and complicated words where simple ones will do. Hemingway will make your writing brief, impactful, and to the point. It’s great for students who have picked up bad writing habits. This includes students who tend to believe that the more complex writing is the better. You can use Hemingway online for free. If you want the desktop app, that costs just under 20 bucks. The desktop app is compatible with word or any other document reader or word processor that is compatible with PDF or DOC files. It also integrates with WordPress and Medium. This one is as short and simple as it comes. 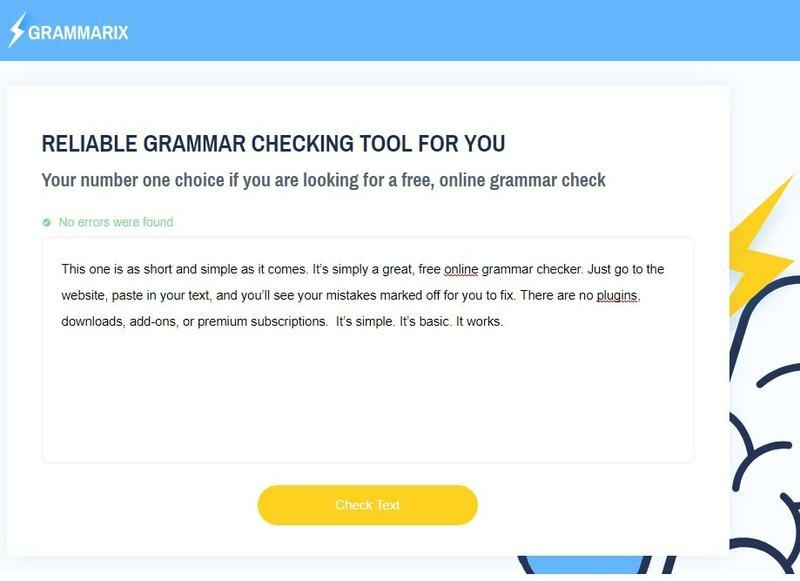 It’s simply a great, free online grammar checker. Just go to the website, paste in your text, and you’ll see your mistakes marked off for you to fix. There are no plugins, downloads, add-ons, or premium subscriptions. It’s simple. It’s basic. It works. There’s no shortage of options here. One of these tools is perfect for your needs. Why not give a couple a test drive today?